A freelance career does not lend itself to passivity. To reach success, you must be Vigilant! Proactive! Have high-speed internet and a comfortable chair! Each day should see you doing at least one thing to grow your business, and there are a number of fantastic resources to help you along the way. Whether you're looking for strategies to increase productivity, advice on collecting payment from clients or recommendations for social media marketing, you'll find the help you need in one of these resources. This is the blog of Alex Mathers, an entrepreneur from the UK who turns starving artists into well-fed artists. His mission is to help creative people translate their talents into money-making opportunities, and posts like What Every Creative Person with a Product or Service Absolutely Needs to Know and Creating Value: How To Make A Product Or Service That Gets Seen And Sold are must-reads for any serious freelancer. What's more, Mathers typically forgoes your standard blog post format in favor of cartoonified, Oatmeal-style posts that engage and entertain. Every freelancer risks burning out. The instability coupled with an incessant workload can make even the most hardened freelancer scream into their pillow. Zen Habits is your oasis in this desert of madness. 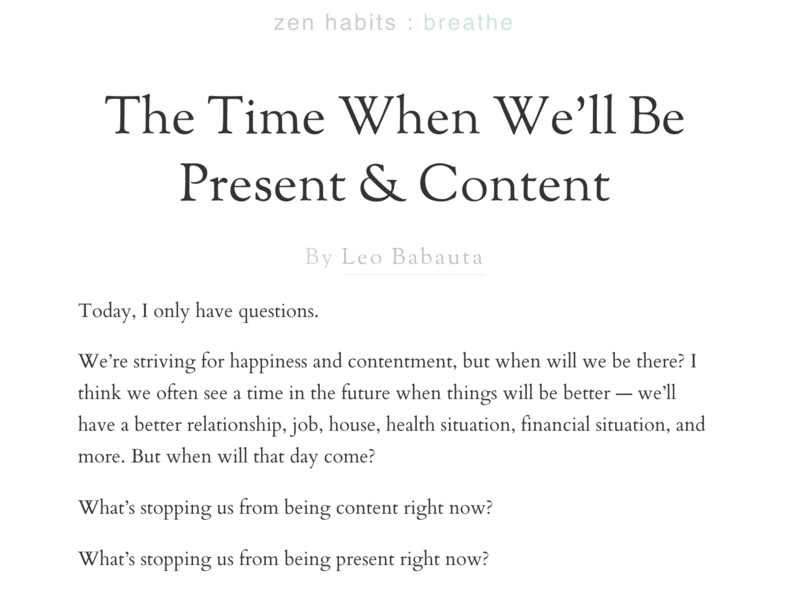 Freelancer Leo Babauta writes the blog, which is focused on â€œfinding simplicity in the daily chaos of our lives.â€� He's been at this for years, so browse through the archives to find great content on health and fitness, motivation and inspiration, frugality, family life, happiness and goal setting. Quibb's mission is to reinvent business news. It's a members-only link-sharing network where professionals can share newsworthy articles and content related to their industry. 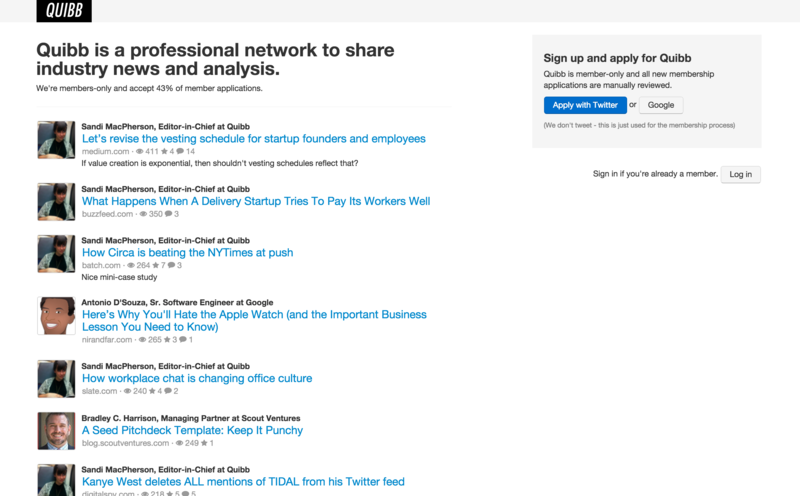 With an acceptance rate of 43 percent, Quibb is committed to curating a high-quality network. There be no trolls in these waters – only vetted professionals looking to stay on the cutting edge. 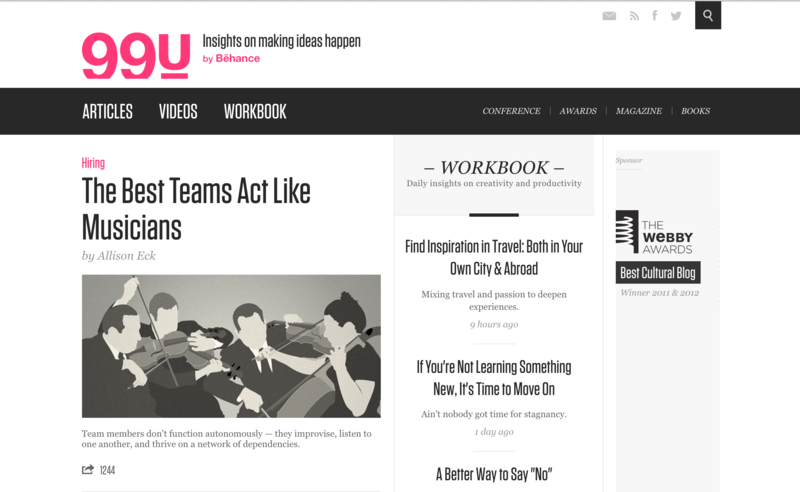 As the research and education arm of Behance, the Webby Award-winning 99U is dedicated to â€œmaking ideas happen,â€� and delivers educational content for creative professionals. The team behind 99U is full of valuable insight, and articles like The 5 Most Common Mistakes New Freelancers Make and 3 Steps For Bridging â€œThe Confidence Gap,â€� provide intelligent advice for growing your business. Guerrilla Freelancing is a home base for freelancers still in the trenches. 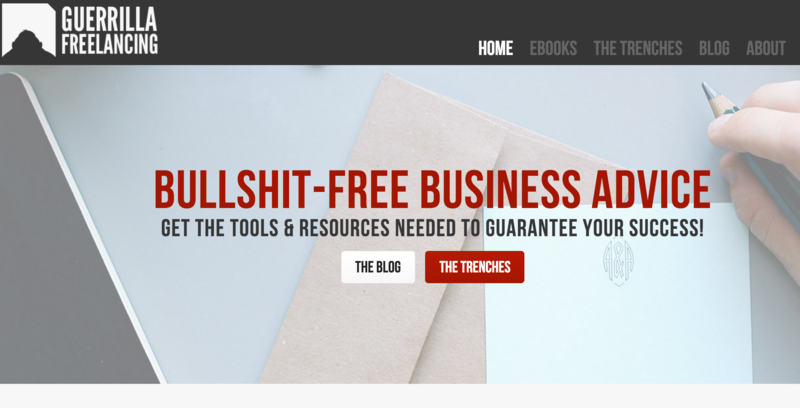 The man at the controls is Mike Smith, a self-proclaimed â€œguerrilla freelancerâ€� and WordPress developer. He is dedicated to helping freelancers grow their business with simple, cost-effective approaches. Smith taps into his wealth of experience and knowledge to discuss important topics like why being busy doesnâ€™t always mean being successful, and how to make it easier for clients to pay you. 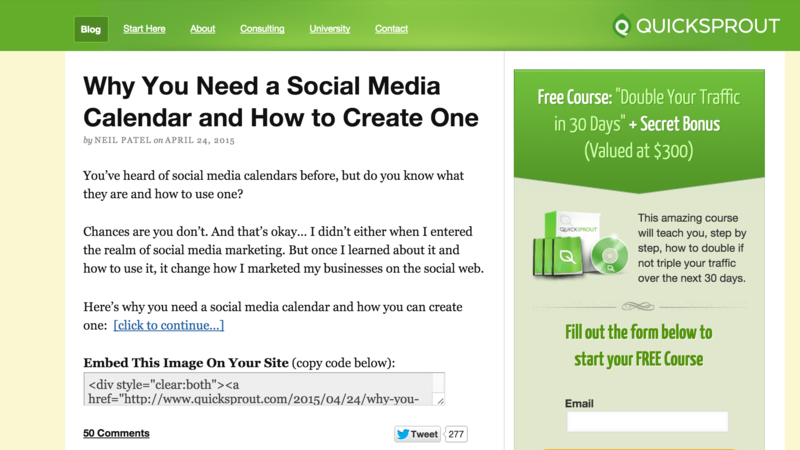 Neil Patelâ€™s fabulous Quick Sprout blog is a treasure-trove of timely, practical and easily implementable advice on how to increase traffic and grow your business. Patelâ€™s status as one of the webâ€™s top influencers, as well as his impressive online marketing track record makes him an invaluable resource, and he always has something new up his sleeve. You do have to pay for some of the more premium content, but that just goes to show how creative Patel is at monetizing. Andrew Chen is a Silicon Valley insider and offers a unique perspective on one of the worldâ€™s most innovative ecosystems. 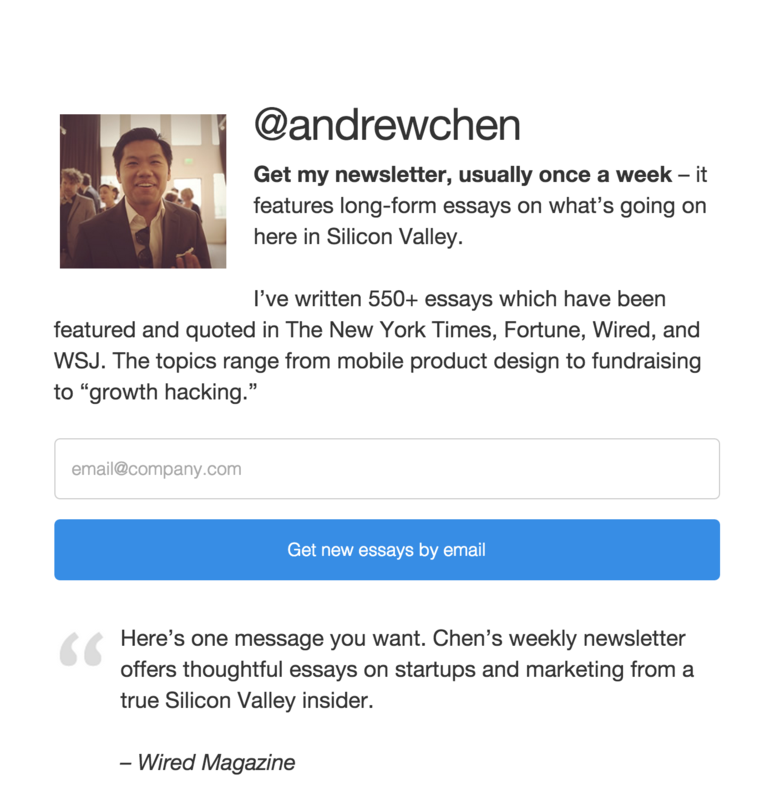 Freelancers looking for advice on building startups, engaging web audiences or securing funding should consider signing up for Chenâ€™s weekly newsletter or checking out some of his essays. 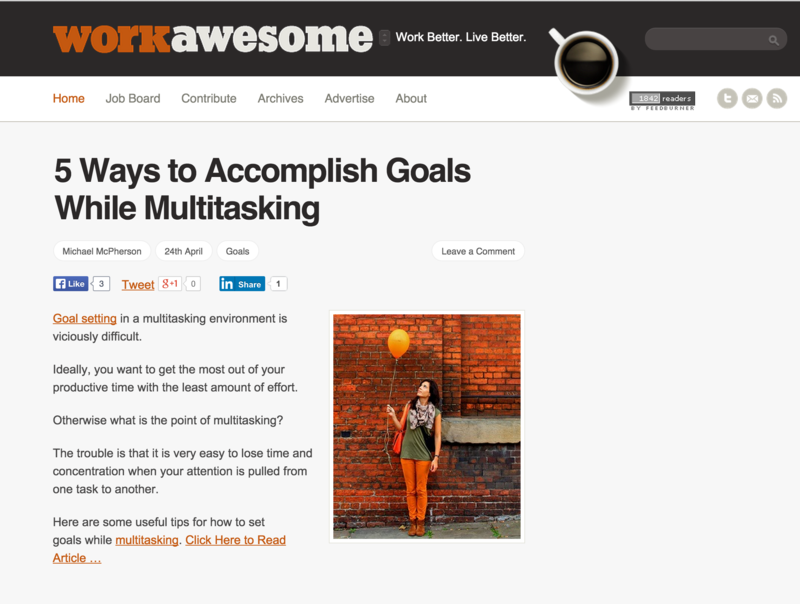 Work Awesome offers tips, hacks and ideas to maximize productivity. Whether youâ€™re just starting out or you've been in the game for years, youâ€™ll find something useful and eye-opening on the blog. Work Awesome is also serious about the role that health and fitness play in productivity. For example, check out one of their more popular blog posts, 5 Habits that Boost Productivity. Being a freelancer means wearing many colorful, sometimes ill-fitting hats. You're not just a creator, you're a marketer, a money manager, and at times, a lawyer. Freelancers need to understand the basics of contractual agreements, or else risk getting taken advantage of. Fortunately, Docracy makes this easy. Docracy boasts a vast collection of contracts and other legal documents freelancers can use with clients, and theyâ€™re all free. Anyone can upload a legal contract to Docracy, and the Docracy community can provide feedback and edits. Don't pay for a contract, and don't try to create one yourself if you don't know what you're doing. Just use Docracy. How much does it pay? 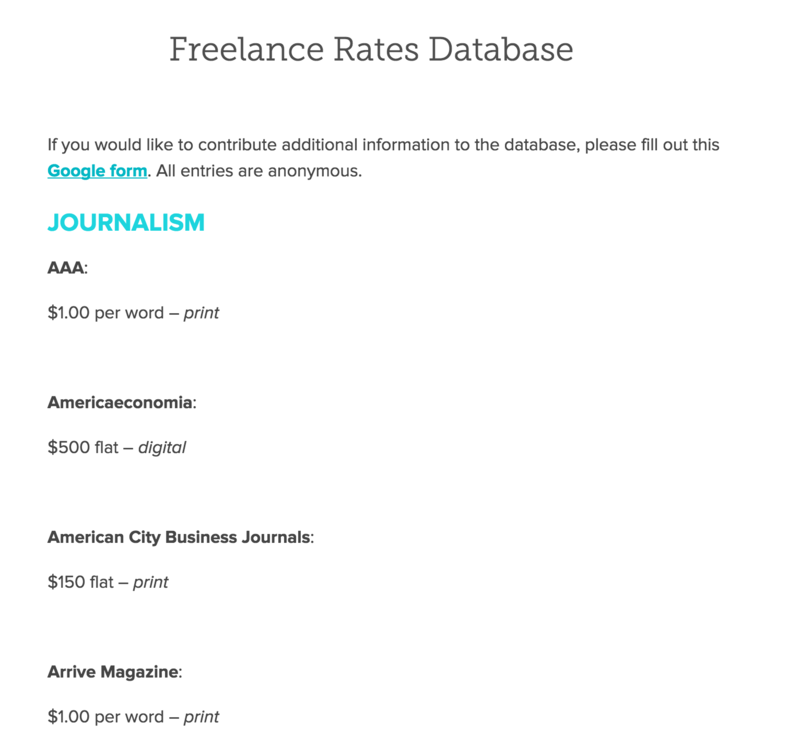 Thatâ€™s a question every freelancer wants to ask, and Contentlyâ€™s rates database provides the answers. 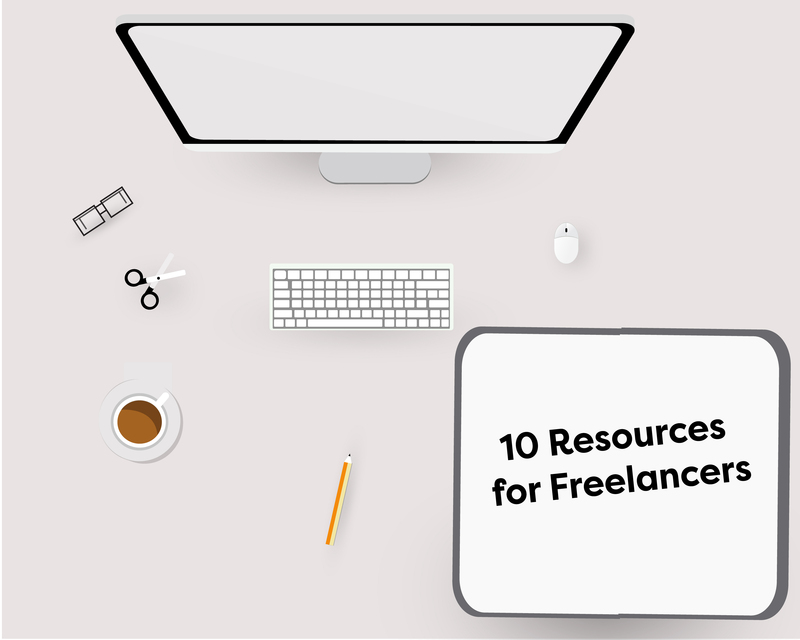 It lists many top publications and their corresponding rates for freelancers. CNBC, for instance, pays $1.00 per word for writers. Reuters pays $450 a day for photographers. Urban Organic pays $2,000 flat for designers. Hi Joshua, great post! There was a couple resources in here I've never heard of. It would be great if you also checked out CloudPeeps.com, our blog is a solid resource for the solopreneur, but they can also find the extra help they've been looking for in marketing, content, or community on the platform. Let me know if you have any questions. Thanks again for the awesome resource!